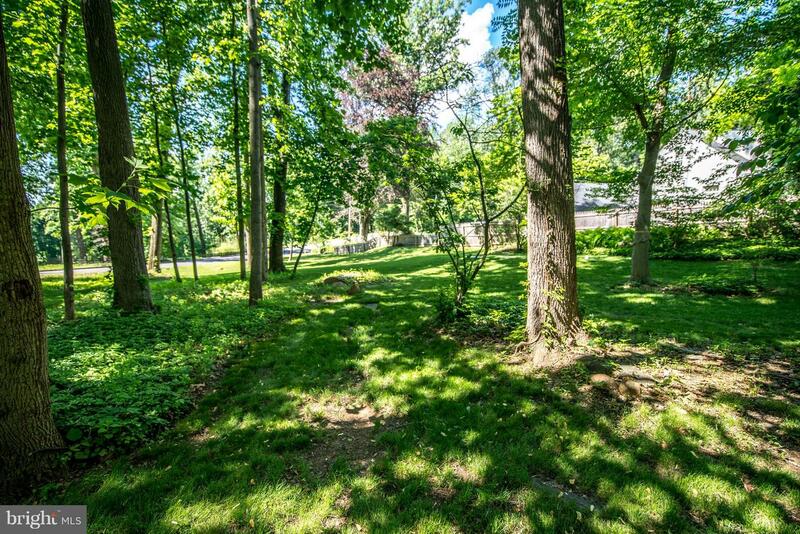 This gorgeous Stone Colonial is set on beautiful wooded grounds and is thoughtfully designed to take in the stunning views, set on an impressive tree lined street in Villanova. The multiple walls of windows fill the home with light, charming details, hardwood floors, various indoor to outdoor living spaces, a flagstone patio & screened enclosure, all for relaxing & entertaining. Many thoughtful upgrades and renovations have been completed recently. 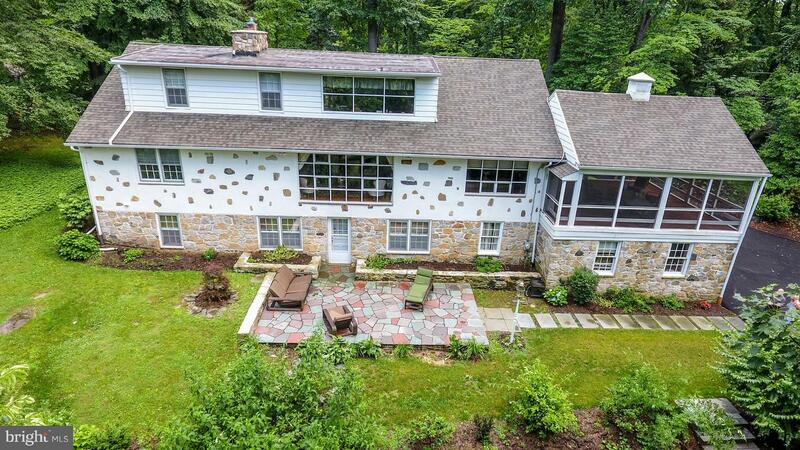 A distinctive flagstone pathway leads you into the home, where you are naturally drawn through the elegant entry foyer into the formal living room where a wall of windows creates picturesque elevated views of the private garden, valley, and manicured lawn. The formal living room fills with natural light and is enriched by the wood Burning Fireplace with two separate sitting areas creating a luxurious atmosphere to relax and watch the seasons change. French doors open into the cozy great room with picture window opening onto a screened enclosure with ample room for dining and additional seating, perfect for reading, and taking in nature & the views overlooking the perennial and fruit/vegetable gardens. 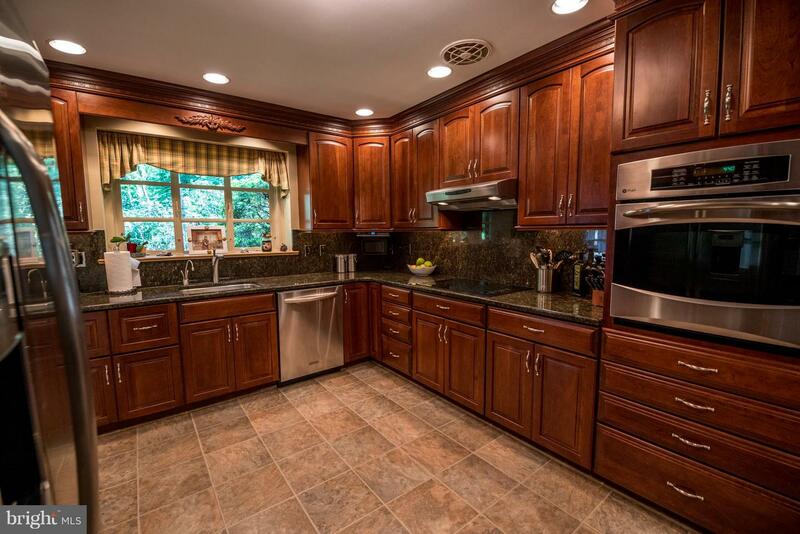 Gourmet Kitchen features 42" Cherry Cabinetry, Granite Counters, Granite Backsplash, an eating nook with crystal leaded accent doors, and top of the line stainless steel appliances, instant hot & purification system, under cabinet lighting and a side door to garden, driveway and porch. 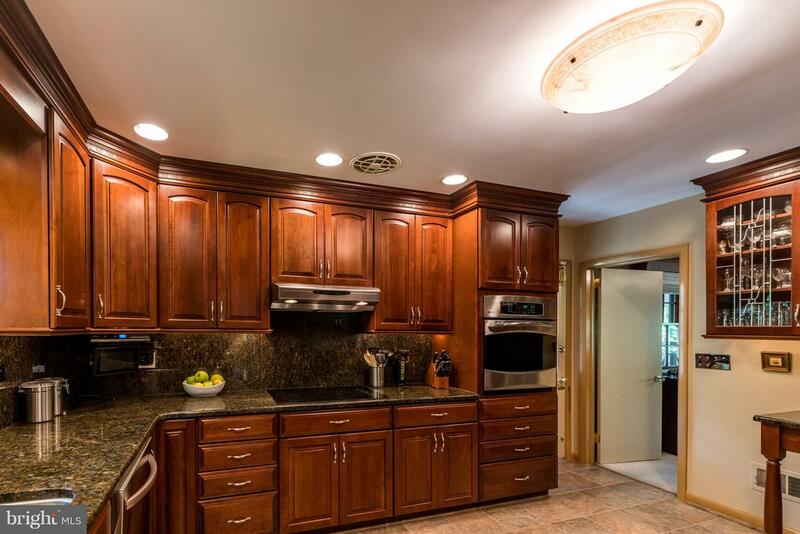 The Kitchen opens onto a Grand Dining Room with wall of windows & is perfect for entertaining large parties. A First floor Master Suite is a respite with ample closet space, and a renovated master bath with marble topped cherry cabinet vanity and stall shower. 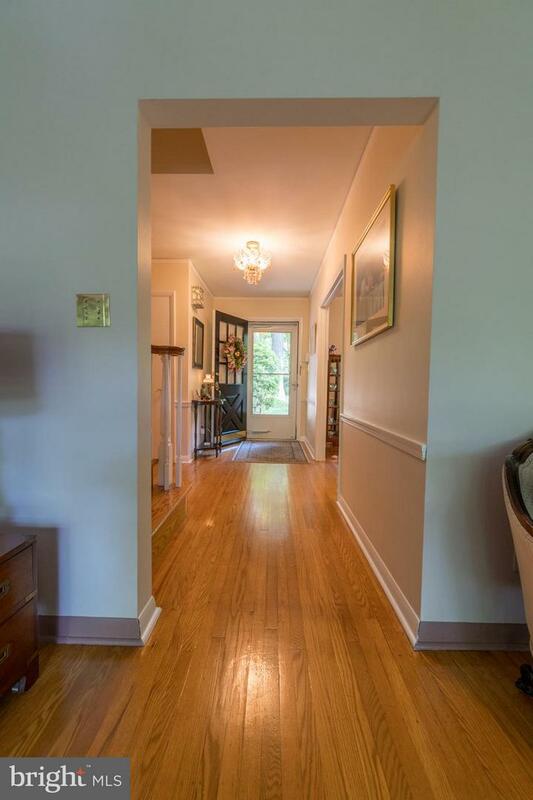 2 additional spacious bedrooms and an updated Hall Bath w soaking tub and linen closet. Upstairs you find two generous sized bedrooms both with ample closets, one (serving as an office) with picture window allowing for stunning views, and additional storage area. A newly renovated Hall Bath w limestone tile, new bath vanity and soaking tub. Downstairs delight in a daylight walkout full recreation lower level, which opens onto a slate patio w walkway to the gardens, also perfect for parties & barbecues. 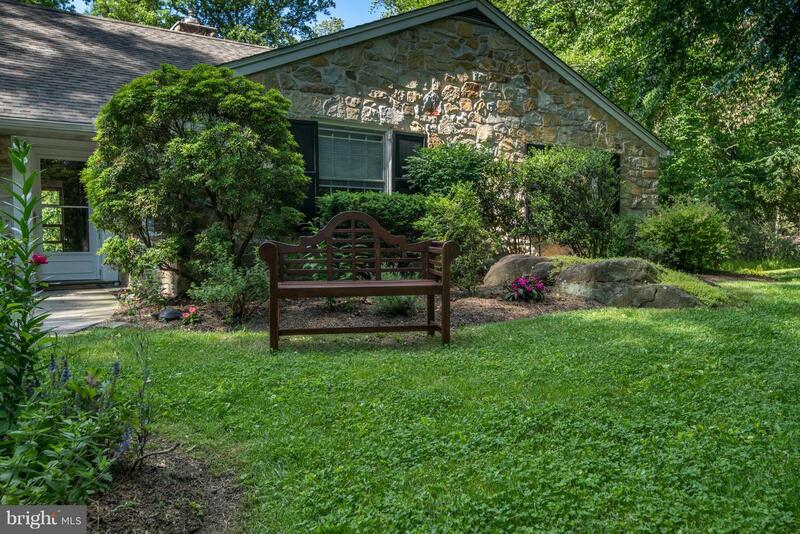 The lower level has a cozy wood burning fireplace and newly renovated powder room. A laundry room w additional storage, mudroom/storage area and access to 2 garages. 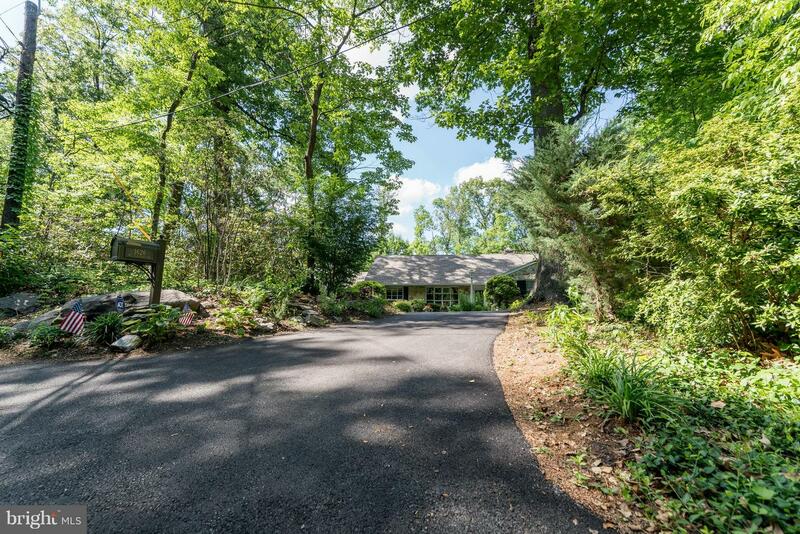 Long semi circular driveway & attached 2-car garage. Award Winning Schools, convenient center city.